Milligan carefully explains the inspiration of the Scriptures and the importance of doctrine, reproof, correction, and instruction. I found the chapter dealing with types and shadows especially interesting. I also received new insights as I became more aware of the reasons behind the use of allegories, parables, and symbols in Jesus’ teaching. Other chapters are helpful in understanding God’s covenants, the relationship of law and grace, and the role of the Holy Spirit. Each chapter provides an excellent balance of a “line upon line, precept upon precept” presentation of basic Bible doctrine and personal application. The “assignment” section accompanying each chapter encourage more than a cursory reading and add to the value of the book as a resource for personal or group study. “Rightly Dividing the Word of Truth: Unlocking the Mysteries of the Bible” is an important resource providing the reader with a reliable road map to a better understanding of the Scriptures. Churches today have the opportunity to establish ministry teams and partnerships with jail and prison chaplains to bring the message of light and life in Jesus Christ to those still living in spiritual darkness behind prison walls. Most churches and their members have had little contact with people in prisons and remain unenlightened about prisoners. As you contemplate teaming with local prison chaplains it is important that you envision what you want to accomplish in your church outreach or personal team efforts. You can begin by comparing the ministry and the position of the believer in your church with the believer in prison to realize the role in ministry is identical. In addition to visiting the prison and teaming with the chaplain in Bible studies, chapel services, evangelism, and discipleship ministry there are other opportunities for service. Providing literature, devotionals, writing letters of encouragement, and prayer, phone calls, and inmate visitation are important additional open doors of service. These suggestions provide for a relationship to develop, and to access the sincerity, maturity and spiritual need of the inmate. You are then ready to offer advice and encouragement. You may be apprehensive about getting involved in prison ministry because of a fear of the unknown as a result of Hollywood movies you have seen, perceived stereotypes, media reports, a lack of understanding, or safety concerns. While these are legitimate concerns it is important to recognize this is very important work and can be done effectively by participating with others in ministry teams. Contact your local chaplain to explore opportunities available locally. The “Prayer Journey Bible” is a guide to a meaningful life of prayer, designed as a life map for your individual spiritual journey from the point of recognizing personal sinfulness to Christ’s holiness, from deliverance of evil to goodness, from selfishness to Christ-centeredness. Suggestions and notes explain the nature of prayer. There are five basic overviews to help the reader map out their prayer journey. A prayer is included within each chapter to help you reflect on the specific point of the chapter, be moved by conviction, to experience an awesome time of worship, to discover an important exhortation, to make a new commitment, or acknowledge a personal need for confession. A dictionary of prayer terms is provided to help classify and direct the reader to various types of prayers. These selections are followed by a number for ease in using this dictionary of nearly 550 principles of prayer. There are other parallel references after each prayer principle which points you to where you can learn more about that principle more deeply. There are also suggested parallel principles with similar application or meaning. These will help you broaden your study. The introductory page preceding the Biblical text of each of the 66 books of the Old and New Testaments are informative and helpful. The classic beauty of the original King James Version will be appreciated by many who have enjoyed this version in the past and will be a welcome introduction to a new generation of Bible students. Dr. Elmer Towns is recognized for his commitment to academic excellence, his literary creativity, spiritual commitment, and his exemplary prayer life. The Prayer Journey Bible will equip the reader for a more consistency and power in their practice of prayer and pursuit of the intimate presence of God in their life. The attractiveness and quality of this edition make it an ideal gift for any occasion, for personal inspiration and devotional reading, or for an in-depth study on the subject of prayer. A complimentary copy of this Bible was provided for review purposes. The expressions expressed are my own. As reviewed for Midwest Book Review. To Follow Jesus: Twelve Steps to Maturity in Christian Discipleship” is a foundational study designed to help believers understand what it means to be a disciple of Christ, a follower of Jesus. Each lesson includes a Scripture lesson with stimulating practical application questions directed at a new or renewed commitment to Christ. This is followed by a Journal page for recording reflections on the lesson from the chapter. I found this especially helpful in personal application and assimilation of the truths emphasized. Each chapter is designed to cover a week of study and reflection. Tips for using the guide are clear and provide a practical plan for future studies. Step by step instructions are provided for getting the most out of your study. “To Follow Jesus is designed for new believers, for Christians struggling in their walk with Christ, and for use in discipleship training and mentoring relationships. Whether used as an individual or small group Bible study, participants will strengthen their faith, grow in Christlikeness, and experience life changing transformation. Compelling, high impact studies for spiritual growth, a more meaningful relationship with Jesus, and a stronger commitment to following Him. Highly recommended. I received a complimentary copy of this book. The opinions I have expressed are my own. I am disclosing this in accordance with the Federal Trade Commission’s guidelines. The spirit of Don Nori Senior’s writing is contagious.” Supernatural Destiny: Answering God’s Call on Your Life” is Don’s story. He tells of a very personal encounter with God, an encounter in which Don received a specific call and the revelation of his supernatural destiny. Don’s story of his call to become a prophet publishing the message of God’s prophets and the founding of Destiny Image Publishers is a strong reminder of God’s unique purpose and ministry for the individual believer. Even as Don relates the specific call, the future trials, miracles, victories and failures he experienced along the way he encourages the reader by sharing the principles in Christian living he learned as he earnestly pursued answering the call of God on his life. Don is candid and open as he chronicles his spiritual journey, following God’s leading and misguided detours resulting from self-doubt or following the advice of well-meaning peers. . Don uses the scriptures to illustrate the details of God’s leading and the promises he and his wife Cathy claimed throughout their journey together.I was awed by Don’s description of the overwhelming “invasion of God’s presence” as the basis for the change, transformation, and marvelous miracles experienced as he pursued God’s purpose and destiny for his life. “Supernatural Destiny: Answering God’s Call on Your Life” is filled with “lessons from the heart “of a remarkable man. A complimentary copy of this book was provided for review purposes. The opinions expressed are my own. As reviewed for Midwest Book Review. to a larger audience through in home and workshop or seminar presentations. video, audio, and music, and genealogies. the extensive endnotes of additional available resources. excellent way of adding another dimension to the important service rendered. book was provided for review purposes. The opinions expressed are my own. “Depression” is another of the helpful topics introduced inthe “40 Days to Better Living Series” published by the Church Health Center of Memphis. The book provides practical, manageable tips to alter your attitudes and actions. work, emotions, relationships, and nutrition. 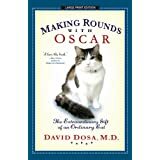 Each day of this 40 day program is centered around a true story from the lives of six individuals who have conquered depression through focusing on one day at a time, on managing their feelings, and assimilating the suggestions offered by the Health Center team as a model for healthy living. progress and lift my spirit. The inspiration and encouragement from the “Morning Reflections” and the “Evening Wrap Ups” are especially helpful as motivators in my pursuit of growth and consistency in my personal physical, emotional, and spiritual life journey. I am no stranger to the difficulties and demands of the dreaded Alzheimer’s disease. Aging friends and loyal family members offer encouragement, affirmation, and support on the journey we are all experiencing together. 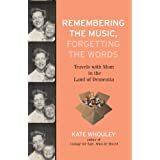 Kate carefully weaves a parallel of her love for music into helping to understand her mother’s illness, their relationship, and the importance of living in the quality of the moment. Whouley writes with passion, understanding, and insight. “Remembering the Music” is not a text book or how to book – but a fresh perspective from a fellow traveler. I found in Kate’s writing another source of encouragement, affirmation, and support from a fresh perspective. An important resource for adult children of parents struggling to find their way in the land of dementia. The opinions expressed are my own. As reviewed for Amazon’s Vine Program. patients and families need empathy, comfort, and distraction the most. in acknowledging the difficulty facing victims of Dementia and their families. Are You Using Man’s Yardstick or the Plumb line of the Scriptures? greatness or significance by not recognizing the touch of God on our lives. danger of determining worth through comparisons. message included in the Appendix. significance and purpose as they recognize the touch of God on their lives.